The Fire Prevention Bureau is staffed by experienced, full-time personnel. The Bureau is responsible for a wide range of activities that make a community a safer place in which to work, shop and live. These activities include fire safety inspections, commercial plan review, fire safety education, and fire investigations. The Bureau is charged with conducting fire and life safety inspections to protect our community and the lives of our citizens through Education, Engineering and Enforcement of the laws and regulations governing life safety. For assistance or questions, please contact the Fire Marshal at 816-274-6025 between the hours of 8a-5p, M-F.
NKCFD conducts fire safety inspections throughout the year. 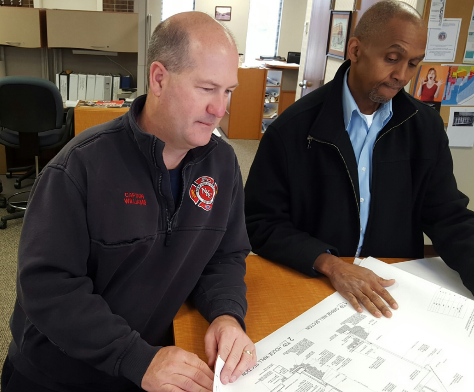 Pre-fire planning walkthroughs are also conducted by in-service fire companies. A strong effort is made to have every business in the city inspected annually by an NKCFD inspector. 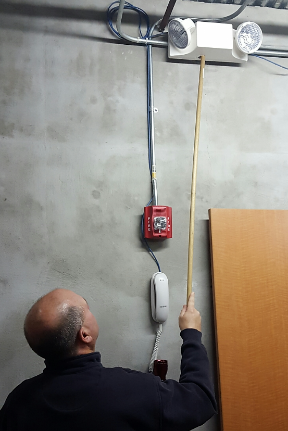 The purpose of these inspections is to identify and correct hazardous conditions before they cause a fire or otherwise create a problem. These inspections are how we help to ensure the properties are maintained, exit doors are unlocked and operable, and safety issues are addressed. If you would like to have the fire department conduct a safety inspection of your business or home, please contact us. Commercial Plan Reviews are performed on all construction projects in the city to ensure they meet the requirements of City codes fire and life safety codes. The city of North Kansas City has adopted the 2012 International family of Codes including the International Fire Code, International Building Code and others. NKCFD reviews all site plans, commercial construction plans, commercial remodels, fire protection plans, and plans for the installation of storage tanks. The goal is to identify and correct problems while they can be easily and inexpensively corrected. Members of the NKCFD Fire Prevention office will perform inspections on projects frequently during the construction phase. Fire Safety Education is an important part of the overall duties assigned to the NKCFD Fire Prevention Division. We are committed to providing fire safety education to anyone willing to listen. Fire safety education is a key tool in the effort to prevent injury and property loss from fire. The fire department develops and coordinates a variety of public education and training programs that are used in the community. 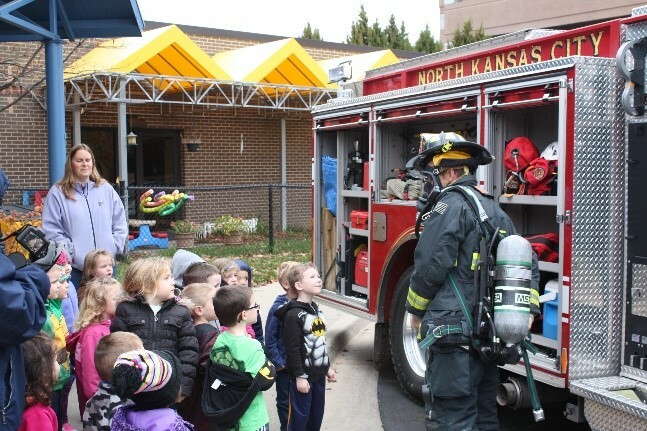 Firefighters conduct station tours as well as present educational programs to all ages.